Private First Class James Herbert Covey was born on August 3, 1949 is the son of Herbert H. and Patty Sue Tate Covey. James is a 1968 graduate of Ypsilanti High School located in Ypsilanti, Michigan. He worked at the Ypsilanti Public Library for two years since he was 16 years of age. 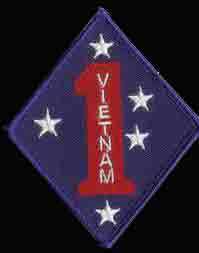 Private First Class Covey began his tour of duty near Danang, Quang Nam Province, South Vietnam on June 3, 1969 serving with K Company, 3rd Battaion, 1st Marines, 1st Marine Division, III Marine Amphibious Forces as a rifleman. James was killed on the evening of June 21, 1969 as a result of an explosion from a Rocket Propelled Grenade (RPG) after being "In-Country" for 18 days. James Herbert Covey is survived by his mother and father. He lived for 19 years, 10 months and 18 days. He is resting in Washtenong Memorial Park in Ann Arbor, Michigan. James' name is listed on the Vietnam Memorial in Ypsilanti Township under Ypsilanti. HIs name also appears on the Vietnam Memorial in Washington, DC on Panel 22W Line 103. He and I, came in-country, at the same time. (I might have, been, a couple of days, earlier) He was only with the platoon for a couple of weeks when it happened. He and the rest of his squad, were leaving the compound for an ambush. I don't think he even knew what happened it was so quick. When I saw that there were no entries for him here (thewall-usa.com) it seemed that he should have something said about him. I remember him as almost always cheerful and good-natured. We didn't have time to become really good friends but I really think we would have been. I'm sure, his family remembers him as he was; a good guy. Sorry Covey. Sorry man. God keep you. Was so young to be taken from his family and friends. He is still missed. We were not close but I still remember you as a young boy. Your Mother was so proud of you. Thank you for going to war to help protect me and our country Rest in Peace Dear cousin.